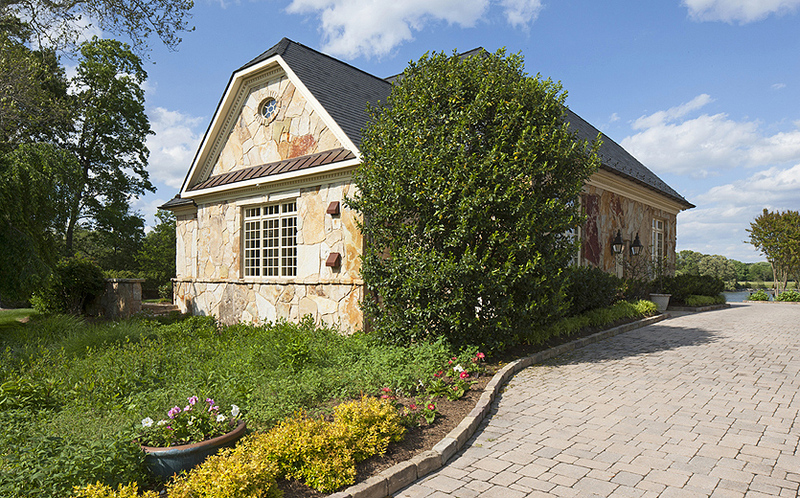 THIS HOME IS NOW PRICED AT LESS THAN HALF THE REPLACEMENT COST! 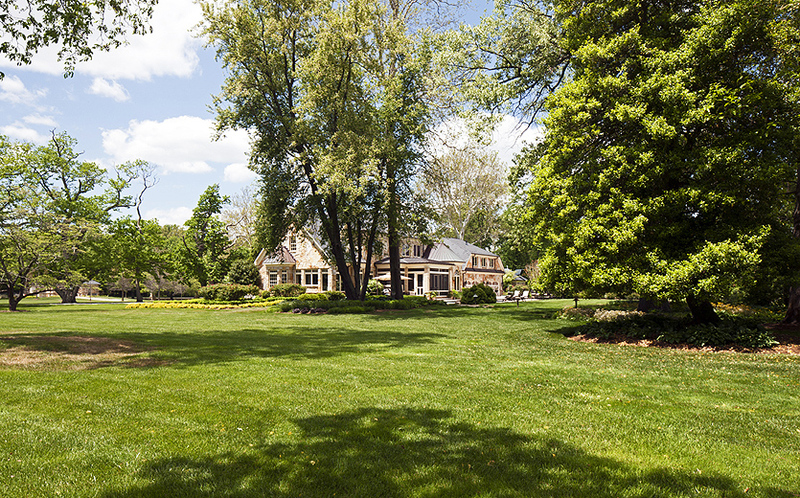 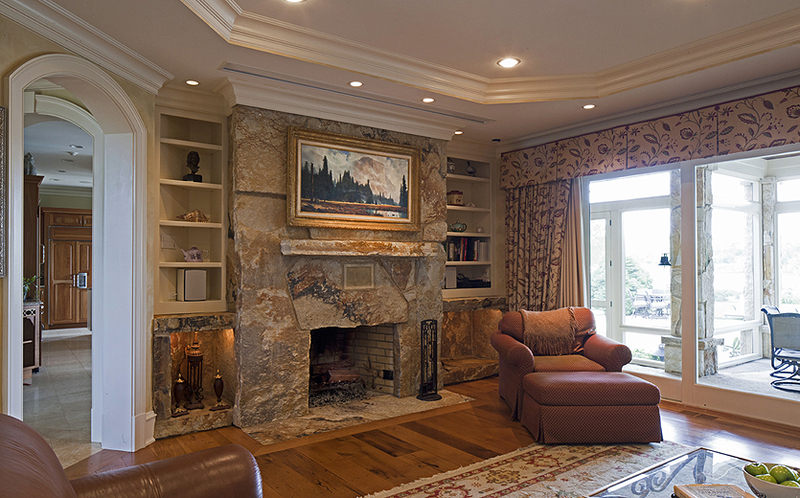 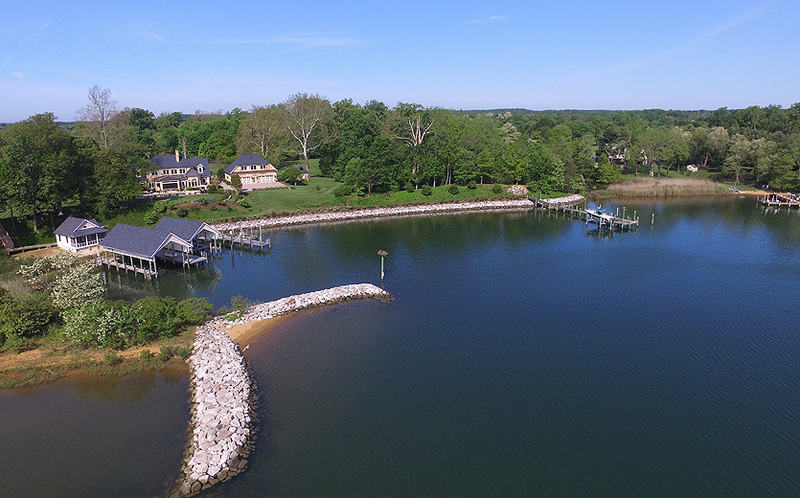 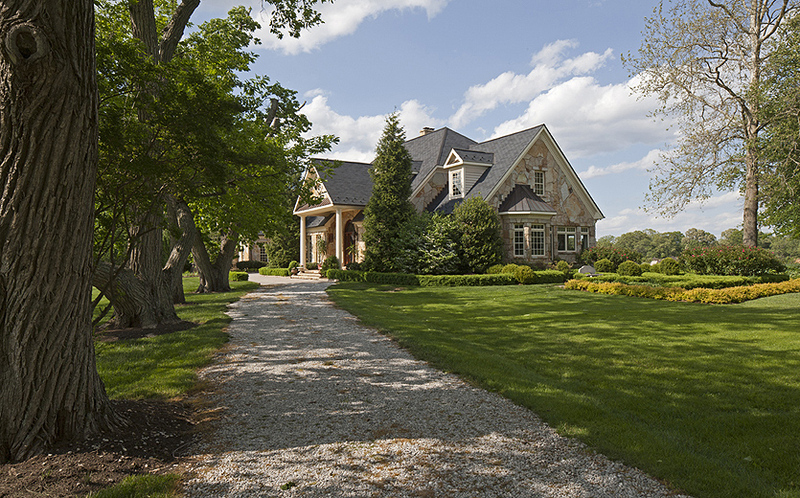 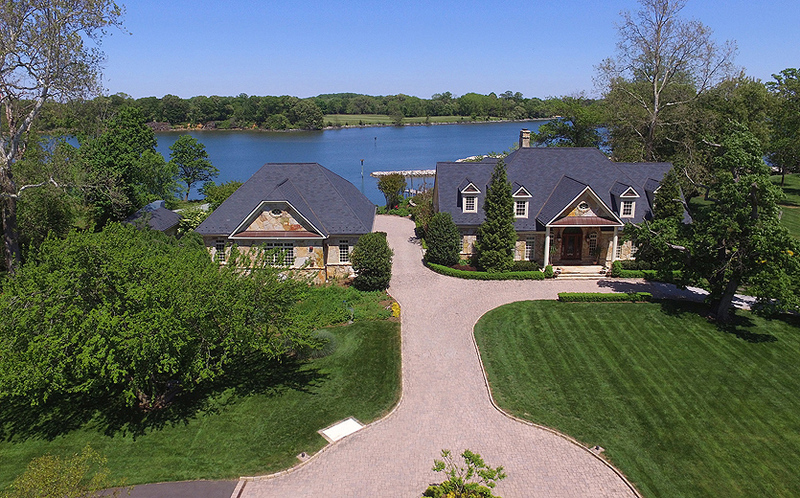 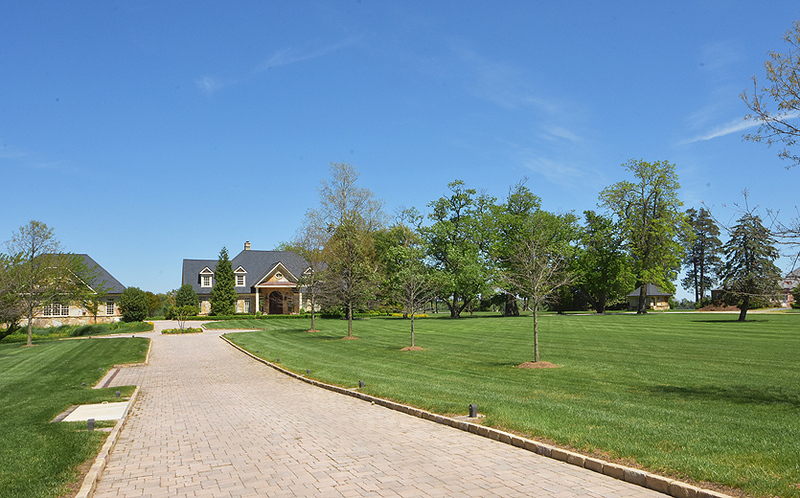 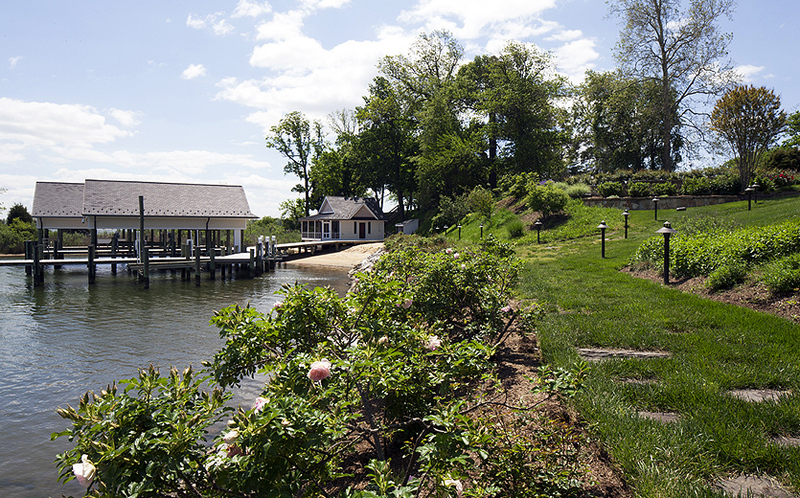 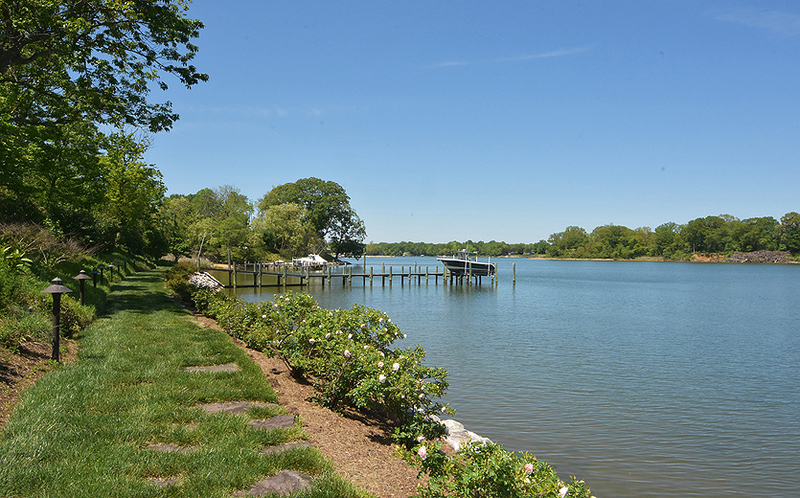 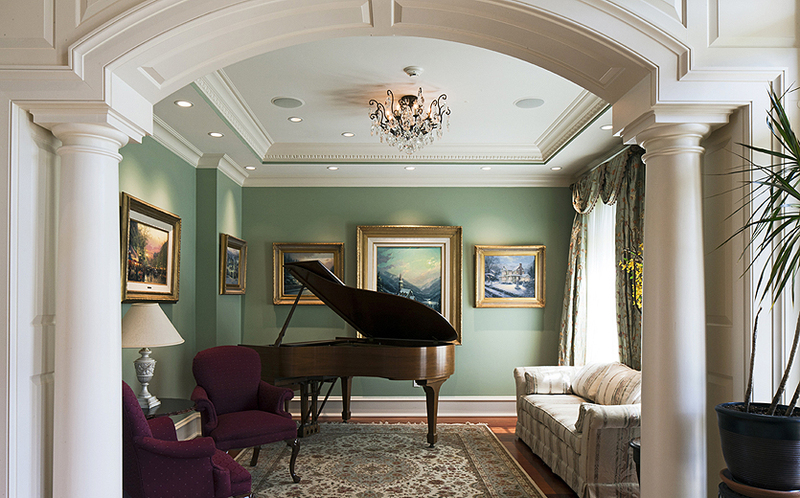 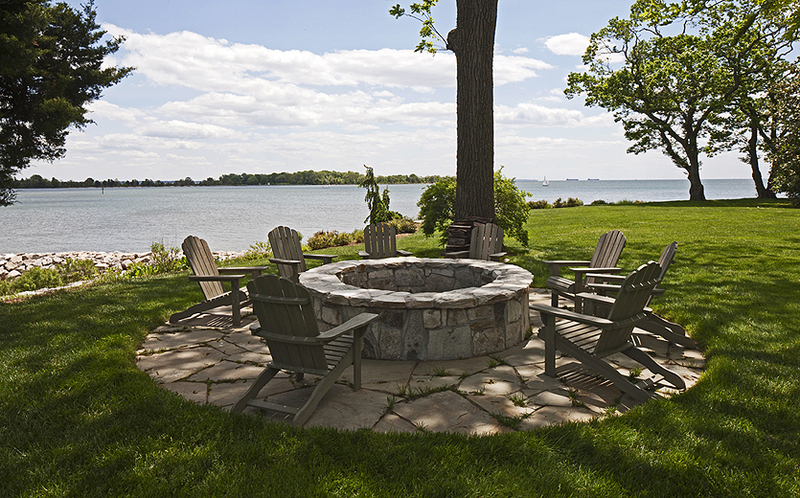 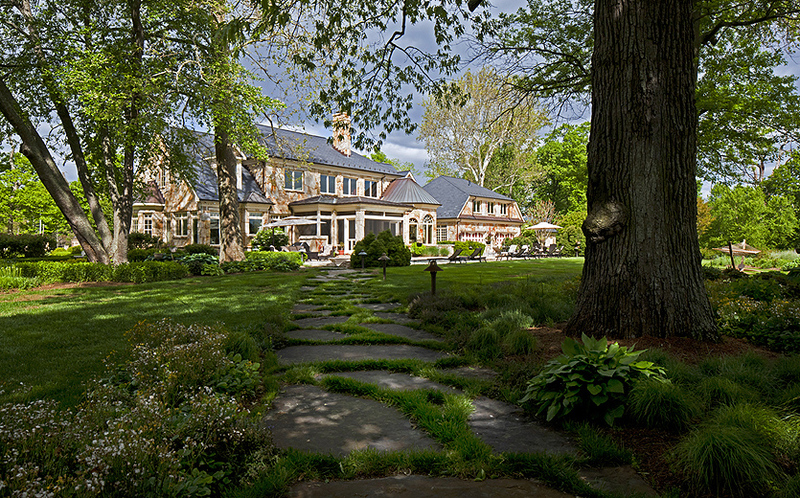 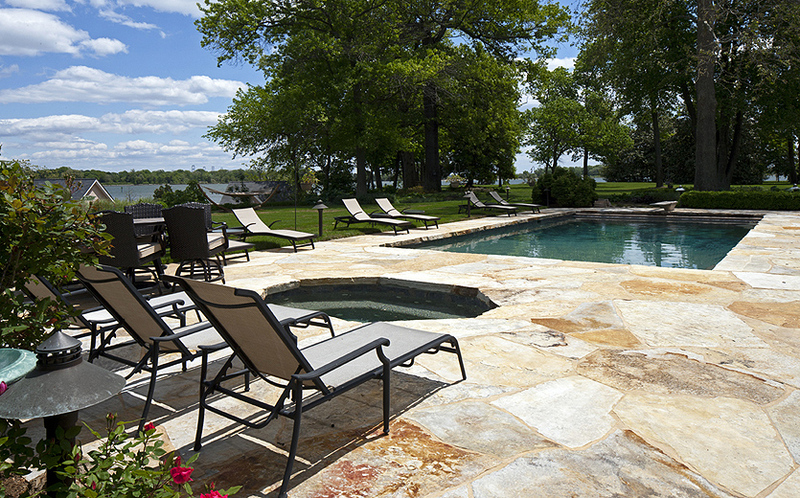 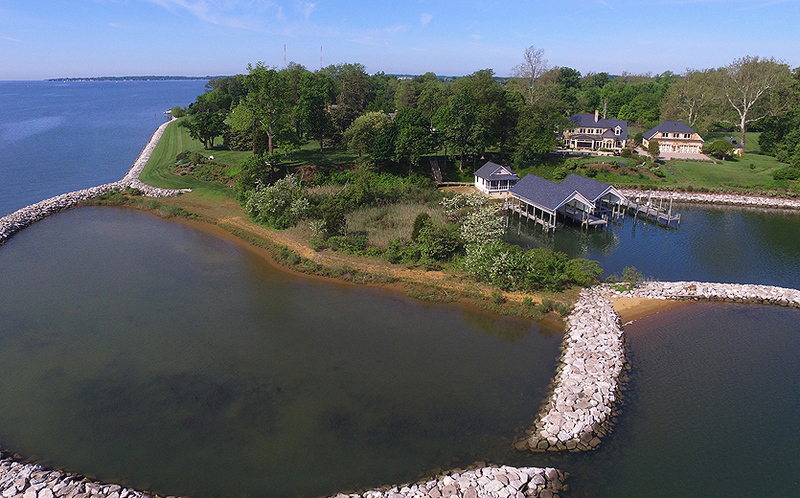 The Sharps Point Estate, located at 1441 Sharps Point Road, is undeniably the finest property in Annapolis. 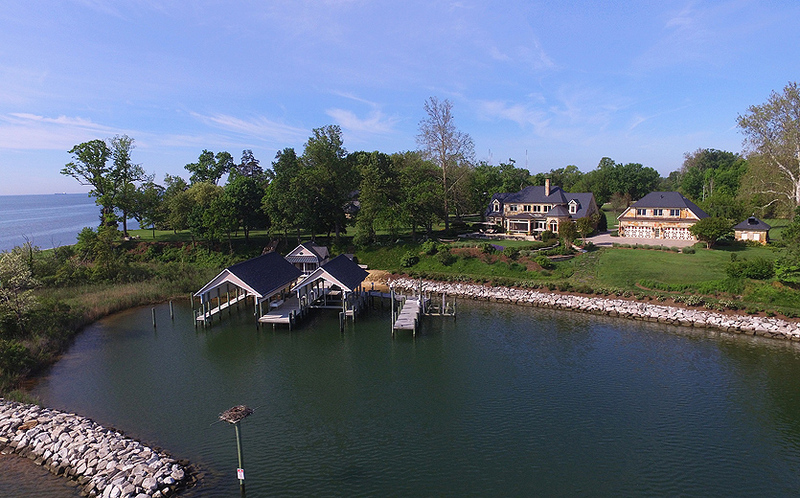 With more than 1,000 ft of waterfrontage on Whitehall Creek and a fully fenced yard, this unique property boasts 8.79 acres with a gated entry, a 4-bedroom manor home, an 8-car garage with apartment, a waterside pool & spa, a private pier with 10 ft water depth, a barn, stable, and 150 KW generator to power the entire operation! 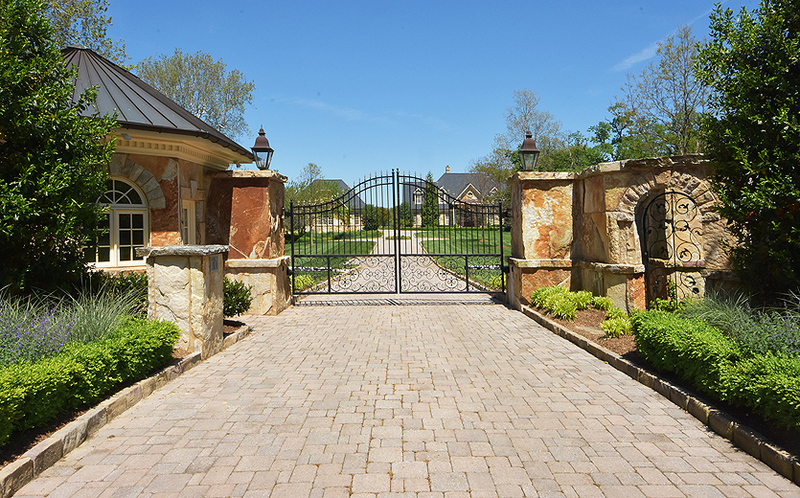 The magnificent detailing begins at the gated entry — the gatehouse, like the home and garage, is built with Lake Placid granite that is 4″ thick. 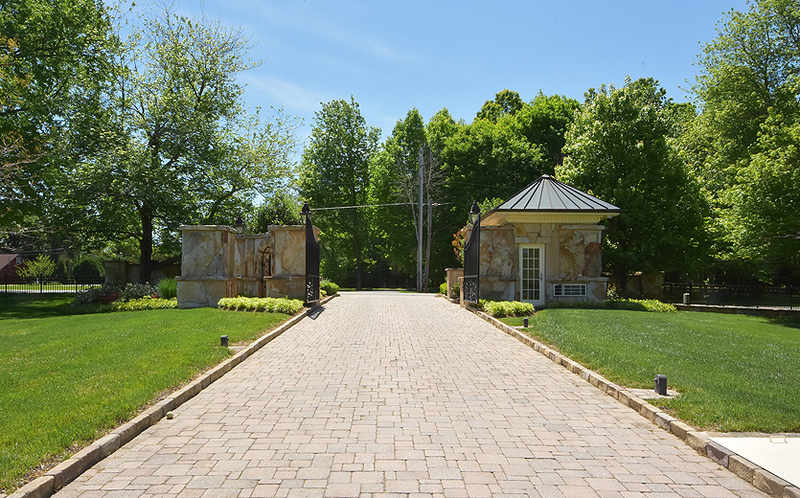 The wrought iron gates open and you proceed up a heated paver driveway to the stunning manor home, with its gracious entrance. 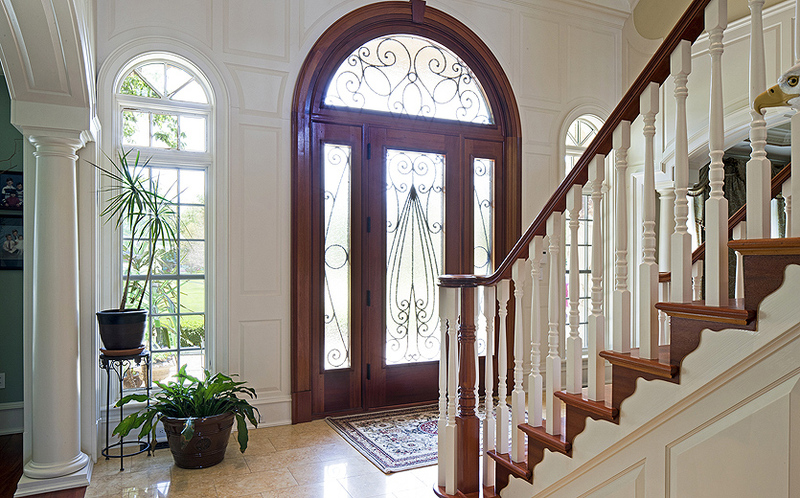 Step into the marble foyer with dramatic staircase and you will immediately notice the stately millwork; architecturally interesting columns lead to the living room on the right and the dining room on the left. 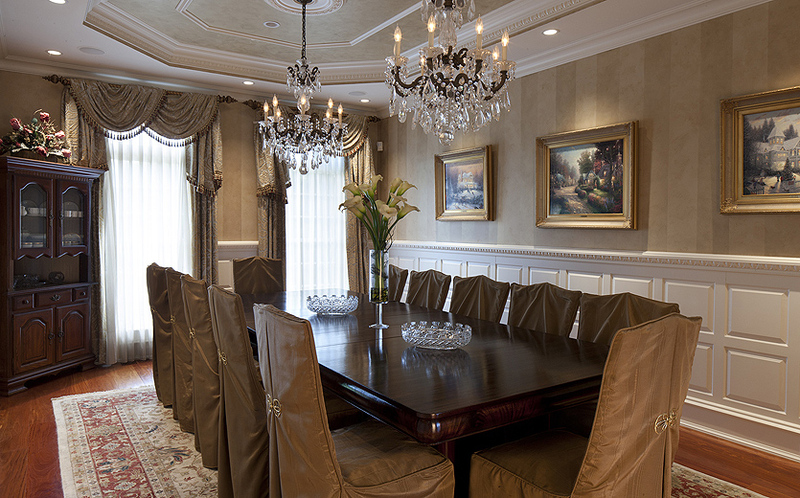 Both the dining room and living room have mahogany hardwood floors, intricate crown molding, and tray ceilings accented with crystal chandeliers. 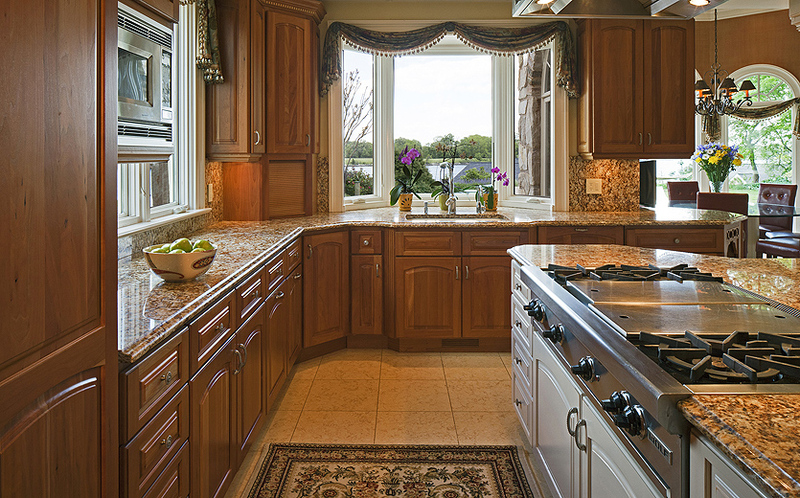 The chef’s kitchen features cherry cabinets and a huge island with a Wolf 8-burner gas range with Viking commercial hood. 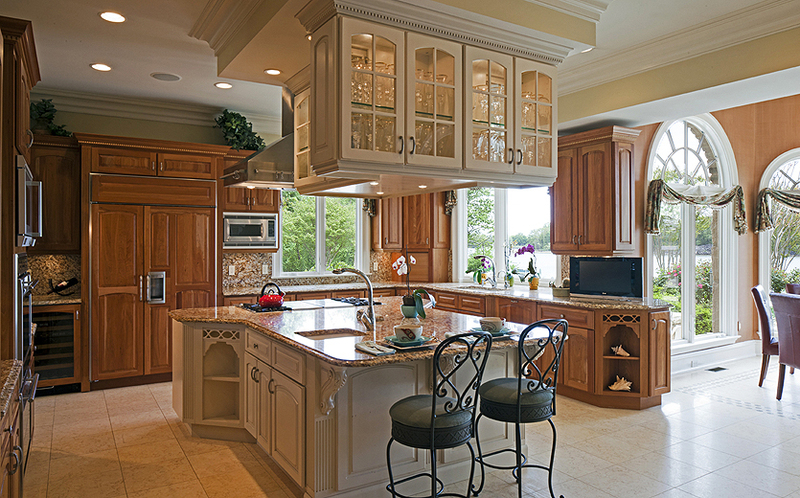 There is also a Wolf double oven, Sub-Zero refrigerator/freezer, Sub-Zero stand-along refrigerator, Gaggenau steam oven, and Sub-Zero ice machine & wine fridge. 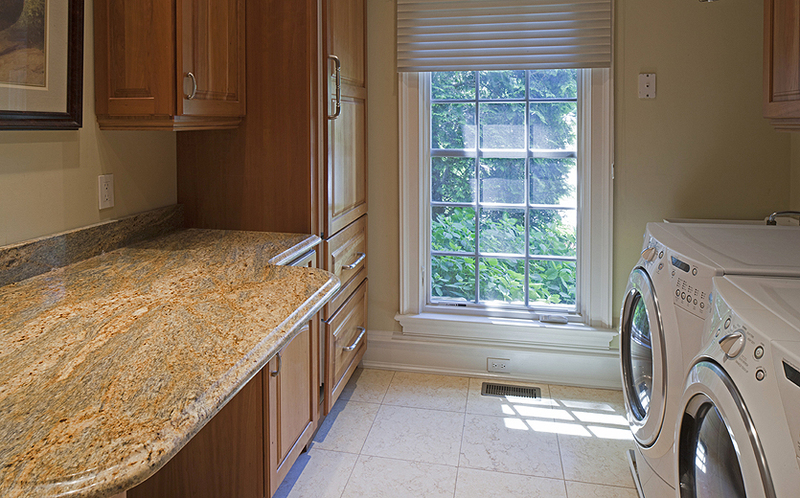 The pantry/laundry room has a Sub-Zero freezer. 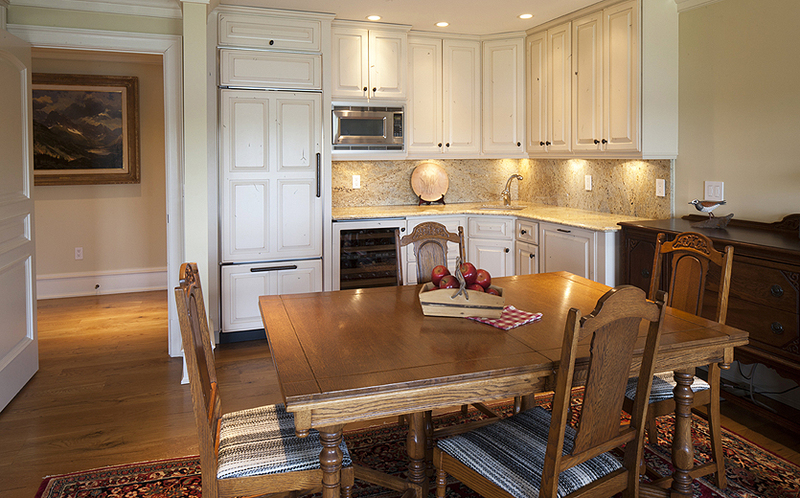 The kitchen area, with beautiful granite counters, includes an informal dining space with wrap-around windows & views. 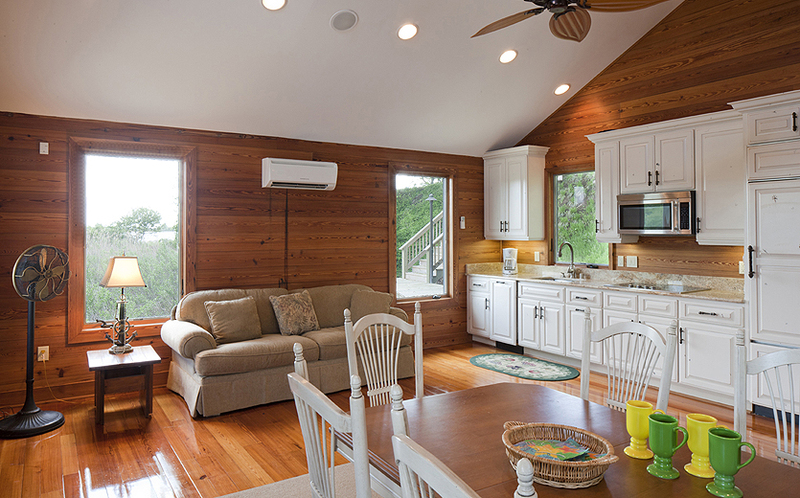 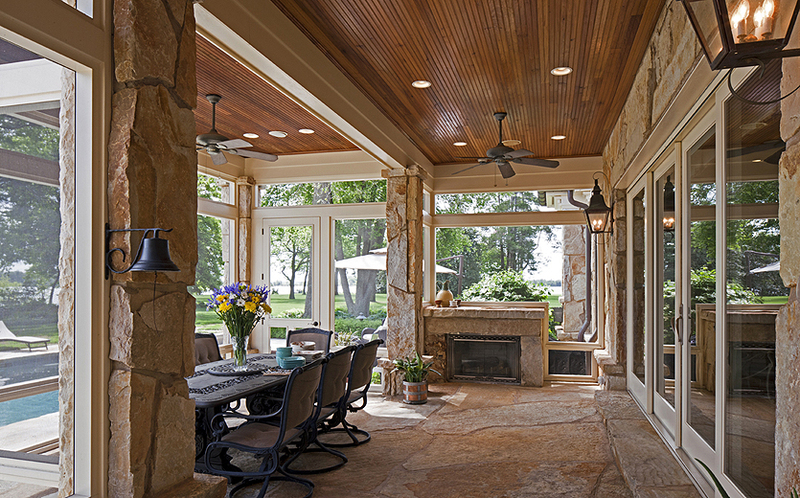 The casual dining space opens to the screened porch. 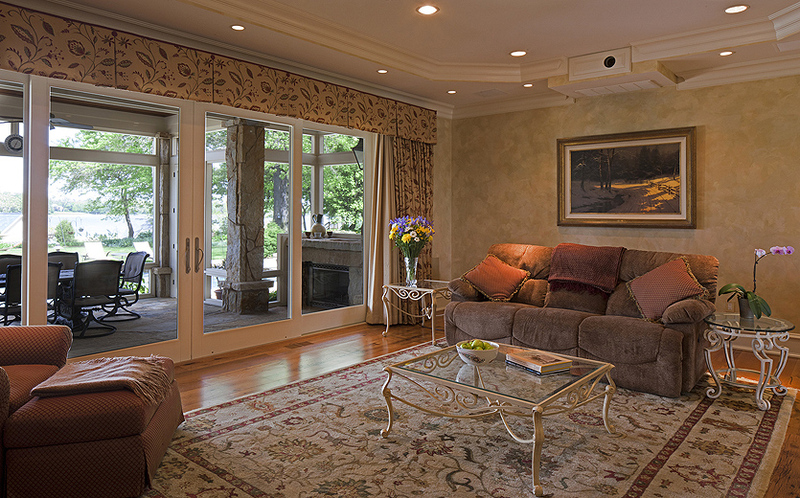 The family room, with antique oak flooring, a wood-burning fireplace, and an automatic projector screen, also opens to the screened porch. 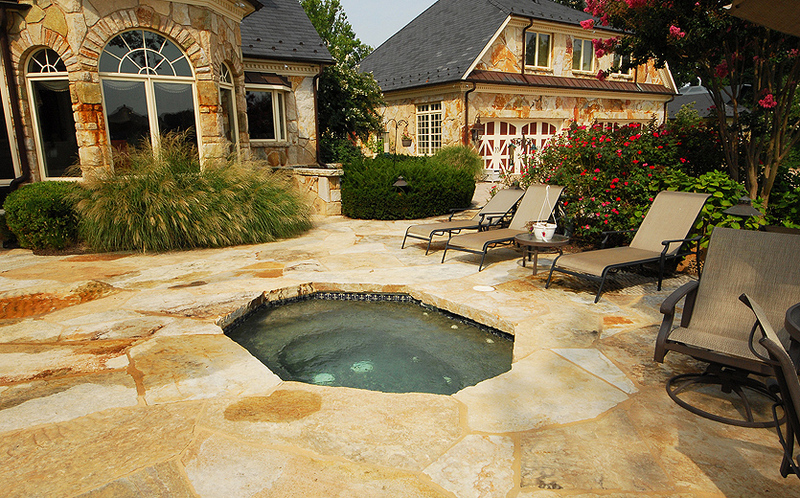 The gorgeous granite on the exterior of the home also serves as the flooring in the porch and as decking around the pool. 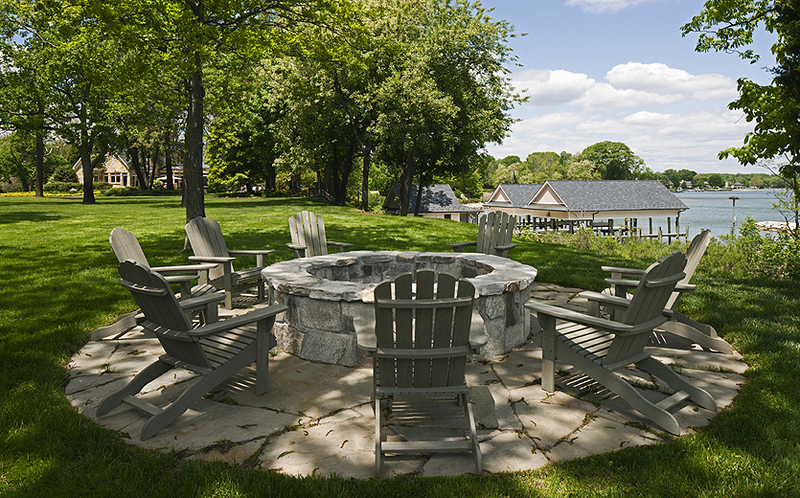 Enjoy a summer’s meal on the porch, and on cooler nights turn on the gas fireplace for additional warmth. 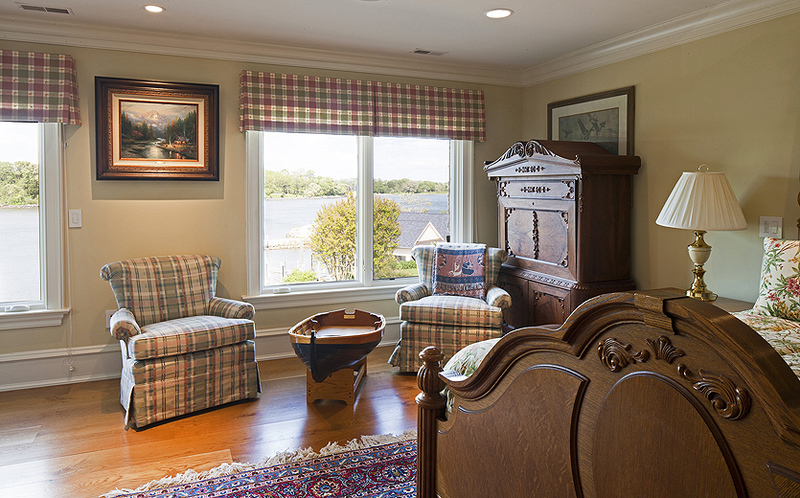 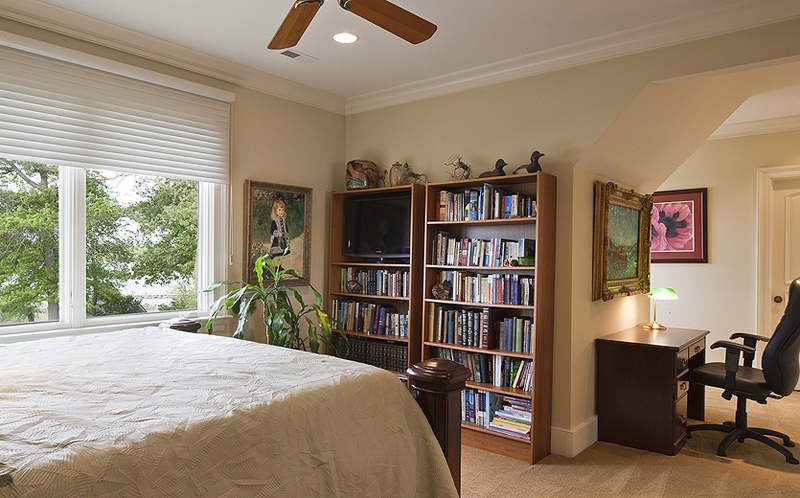 The last wing on the main level is the master bedroom suite that has two walls of windows — one overlooking the pool and Whitehall Creek and the other has views to the Bay. 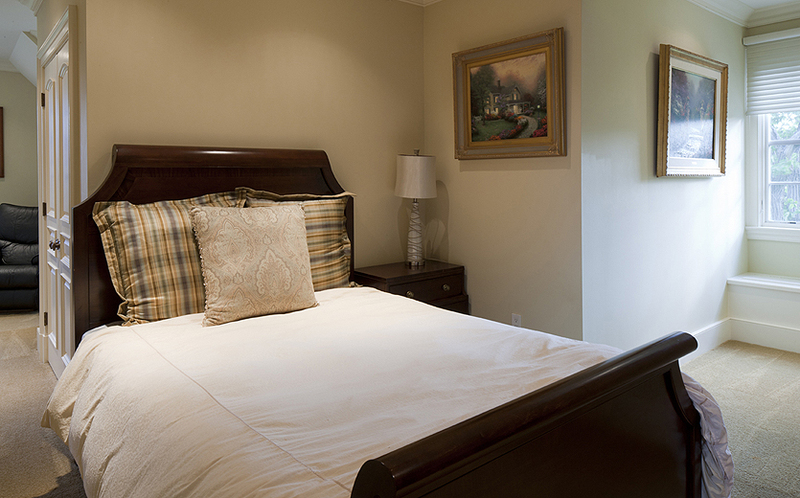 The bedroom has a gas fireplace and drop-down TV. 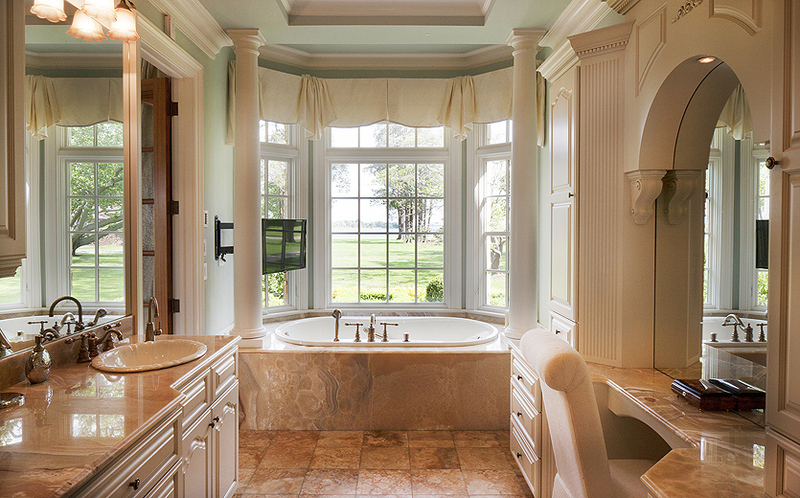 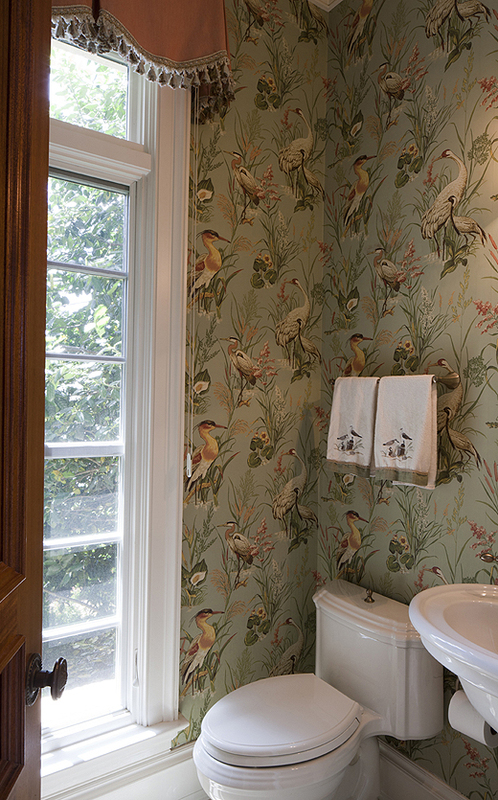 The master bathroom is truly a spa experience! 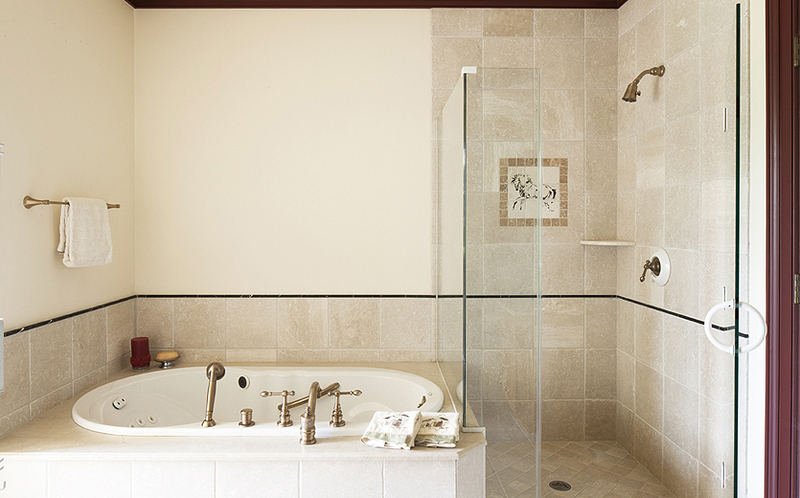 There is a gas fireplace, Kohler jetted tub, and oversized shower with body sprays. 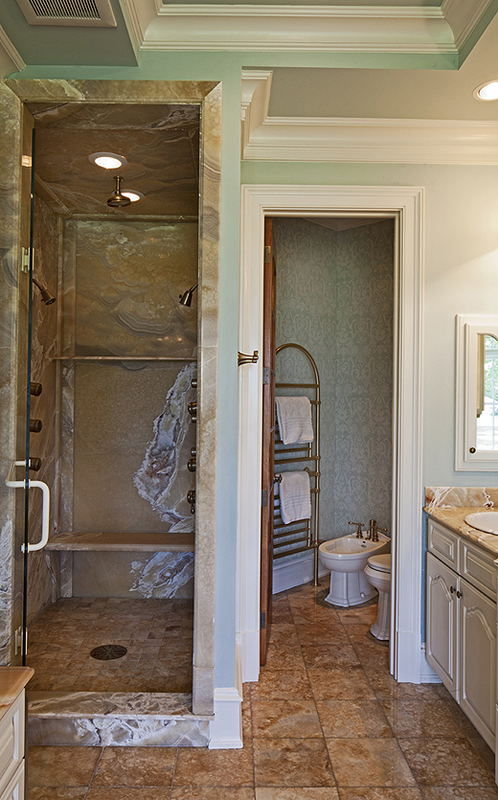 The counters, heated floors, and shower are slab onyx. 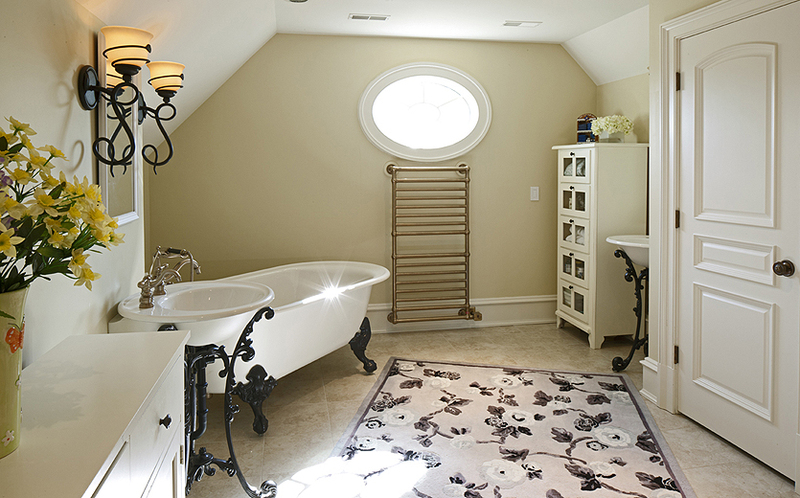 The toilet compartment features a heated towel rack and bidet. 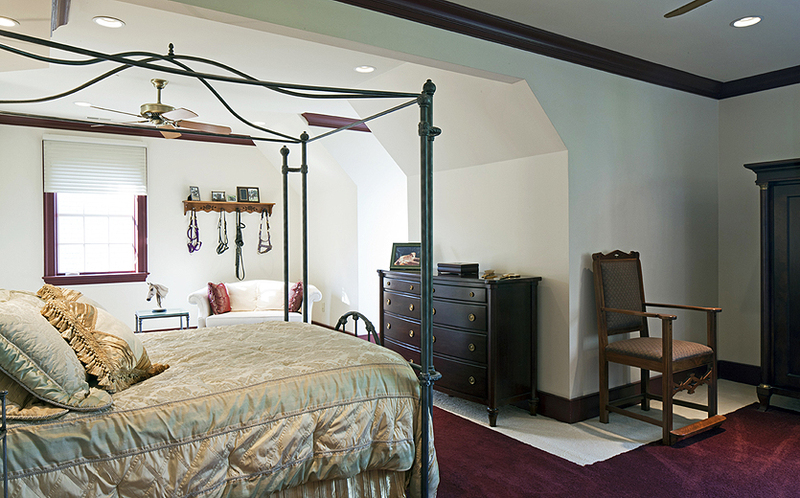 Upstairs, there is a second master suite with deluxe bathroom, as well as two more bedrooms and each has a private bath and water views. 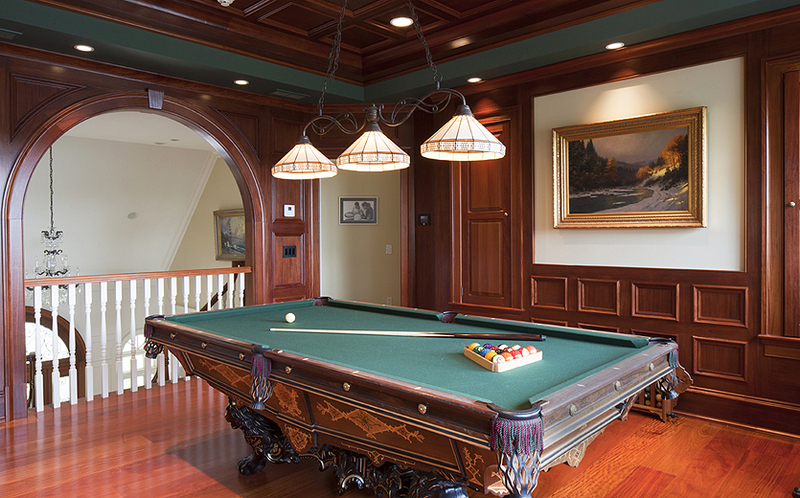 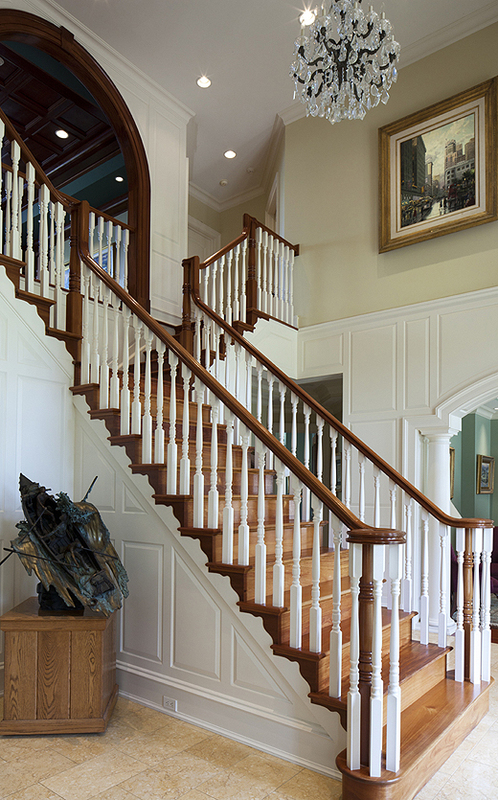 At the top of the dramatic stair, you’ll find a cherry paneled game room with wonderful water views. 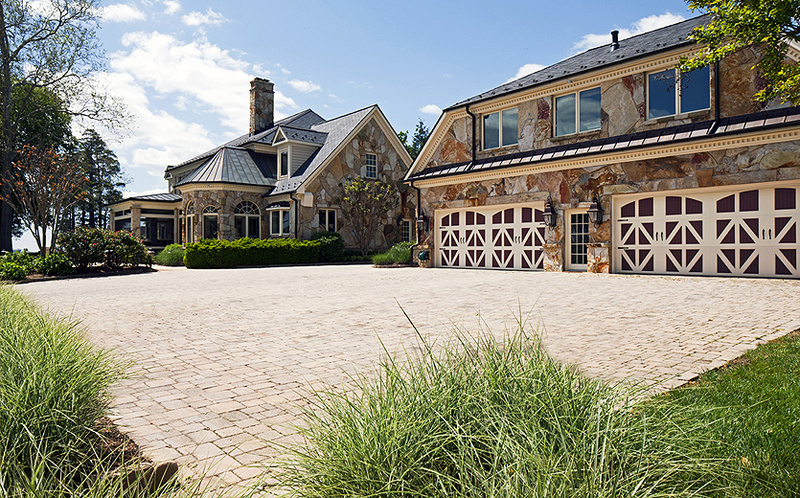 The detached 8-car garage, with granite exterior, has a full apartment upstairs — kitchen, living room, bedroom, gas fireplace, and full bath. 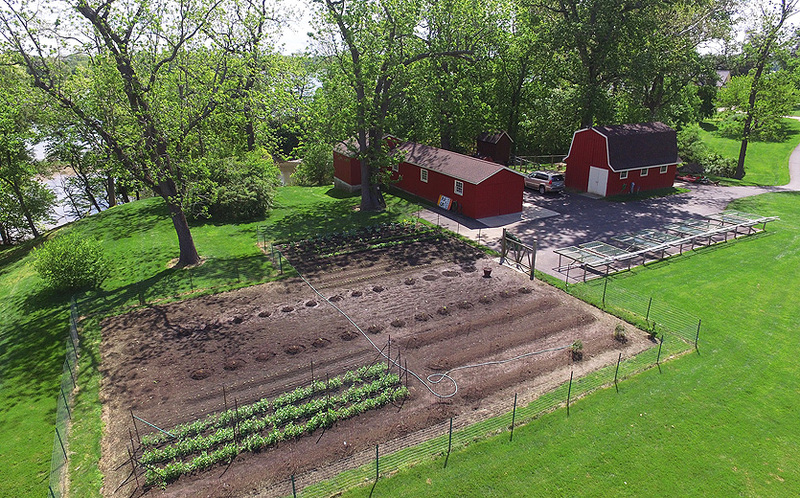 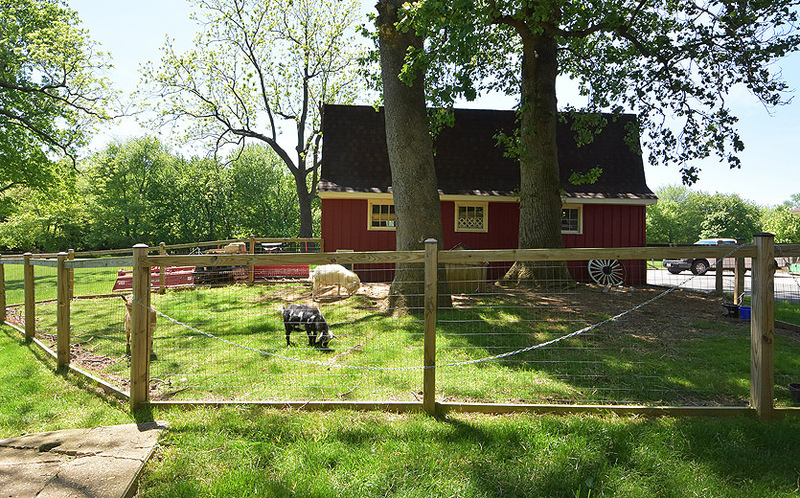 Stroll to the outbuildings, including a barn, stable, and shed. 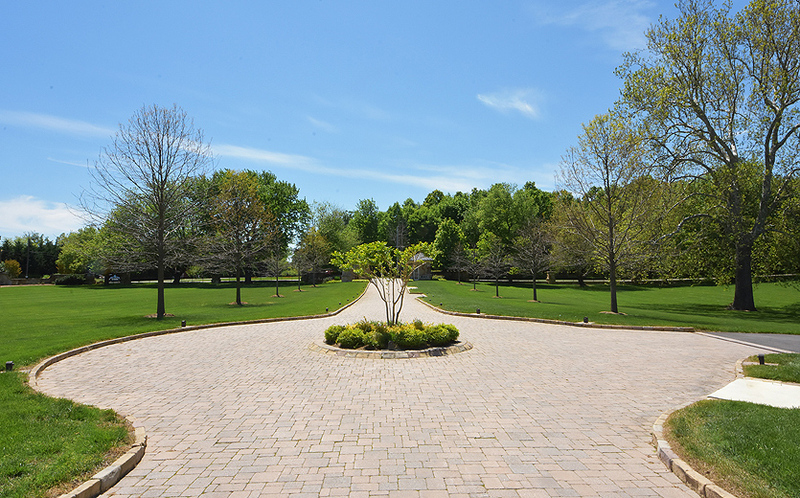 There’s lots of space for a garden or set up a riding ring! 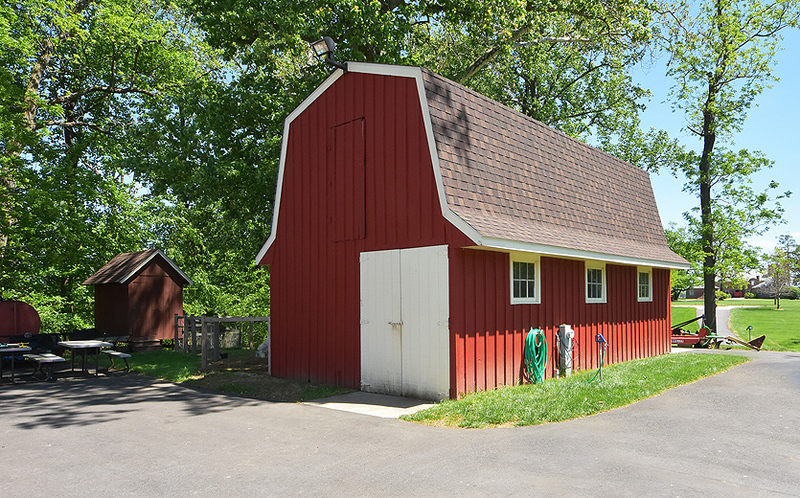 The stable could accommodate 4 horses. 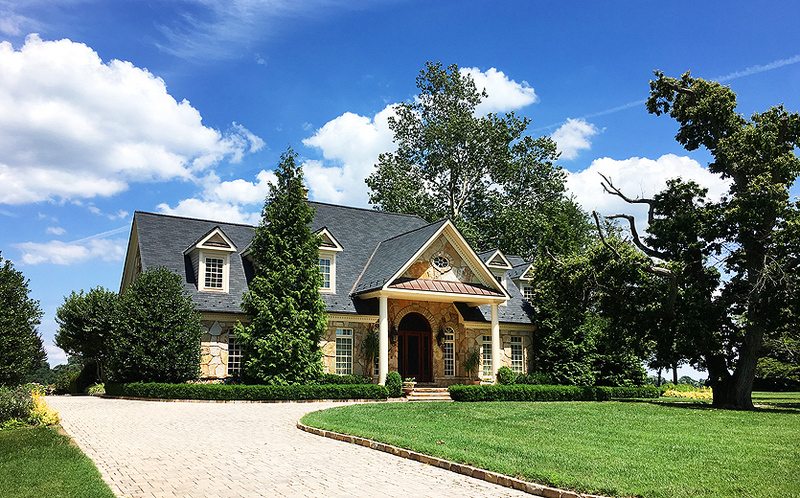 Some of the systems include a 150 KW Onan generator with automatic transfer, geothermal heat, hydronic floor heat, propane hot water heat & electric hot water, commercial grade water treatment system, security system with 30 cameras, safe room with two large safes, and custom lighting & sound systems. 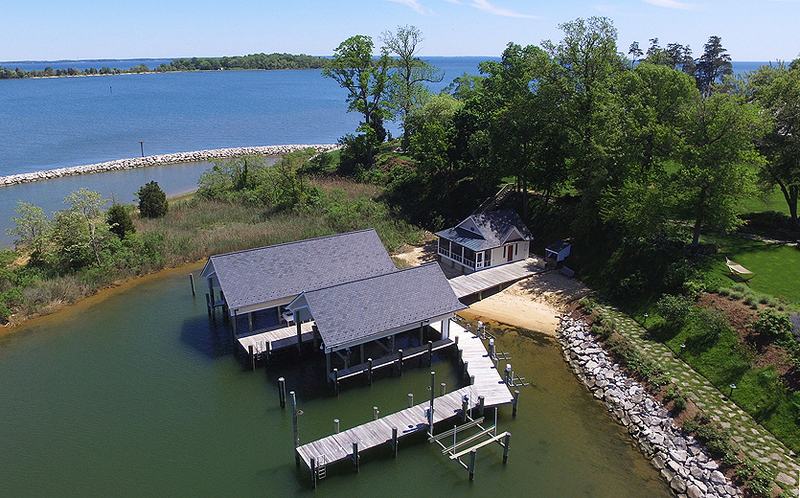 In addition, the seller has created an adjoining protected 1.5 acre parcel that places the beach cottage, boathouses, and fire-pit in an HOA to be shared with the neighboring home. 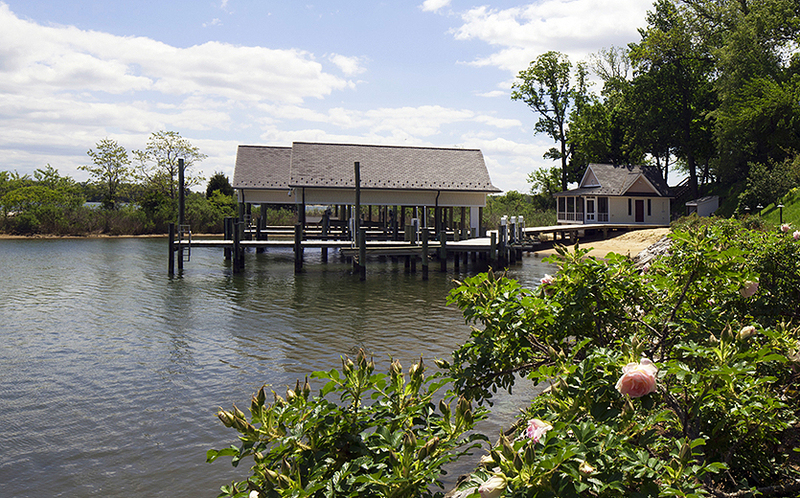 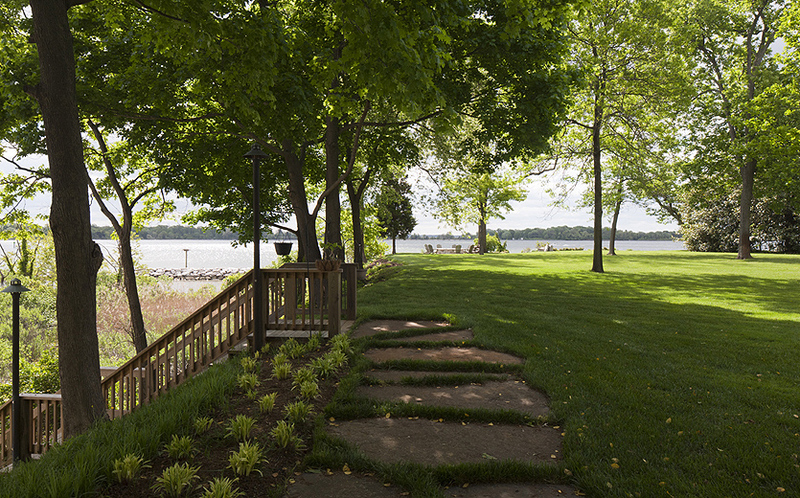 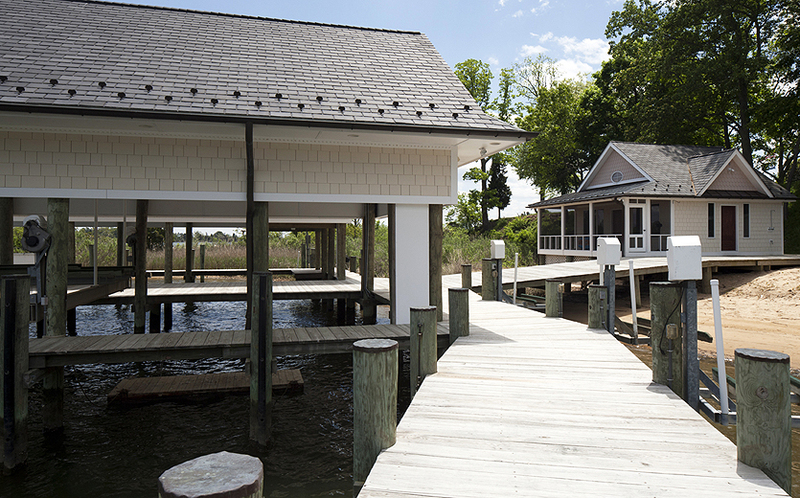 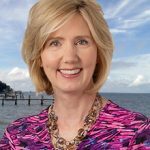 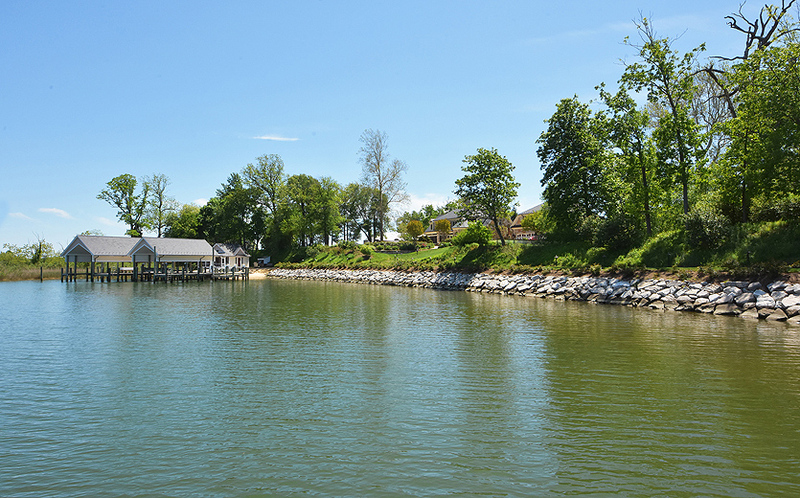 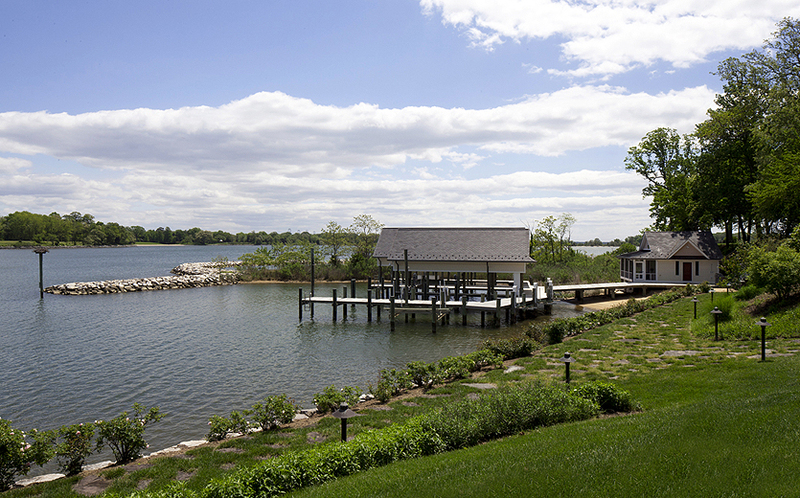 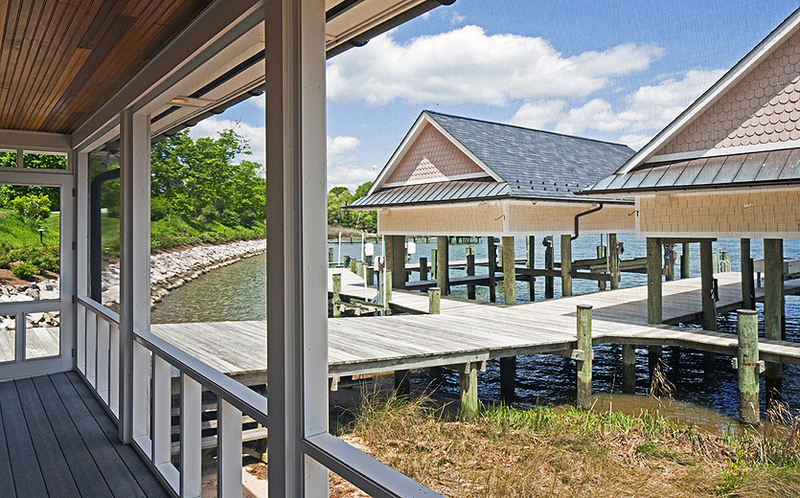 Each of the two homeowners has use of one of the boathouses, while the 3rd pier at the complex is available for guests. 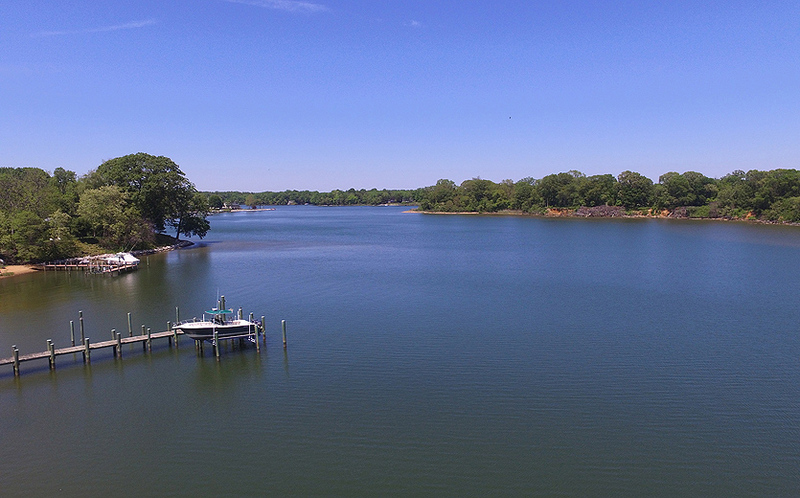 Click on the plat below to see 1441 Sharps Point (Lot 1) as well as the unbuildable HOA property on the point. 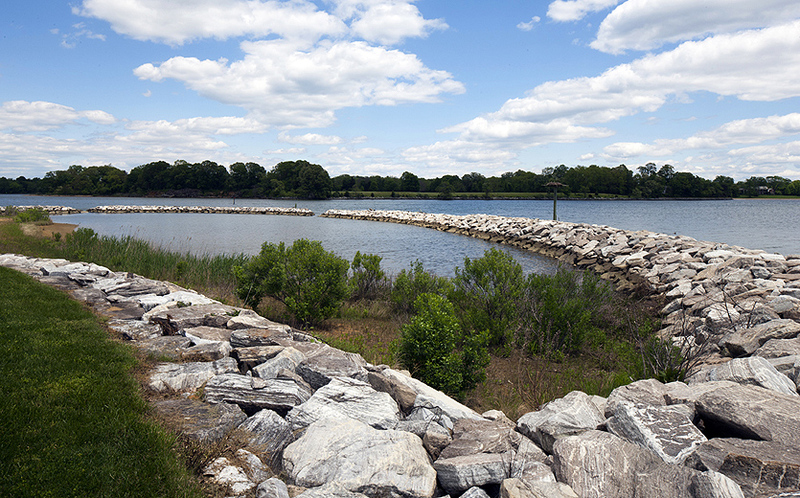 It is hard to imagine now that it is complete, but the shoreline work (rip-rap, stone groins, etc.) 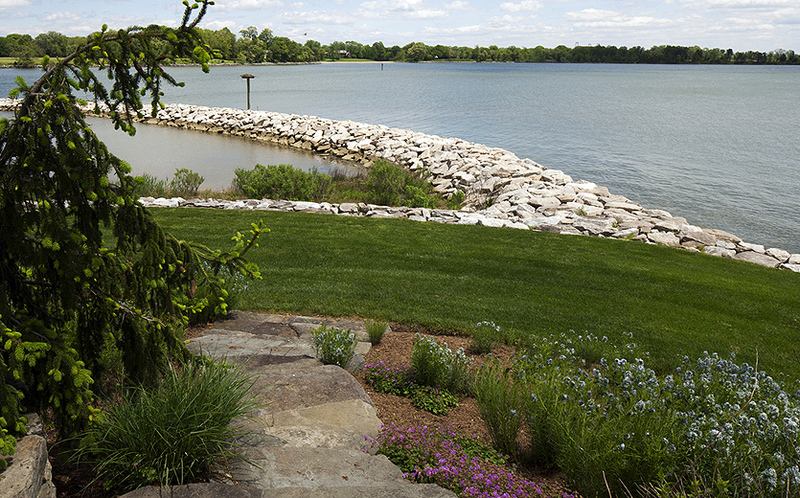 cost close to $1.5 million and was the biggest private installation of rock in the state at the time it was constructed. 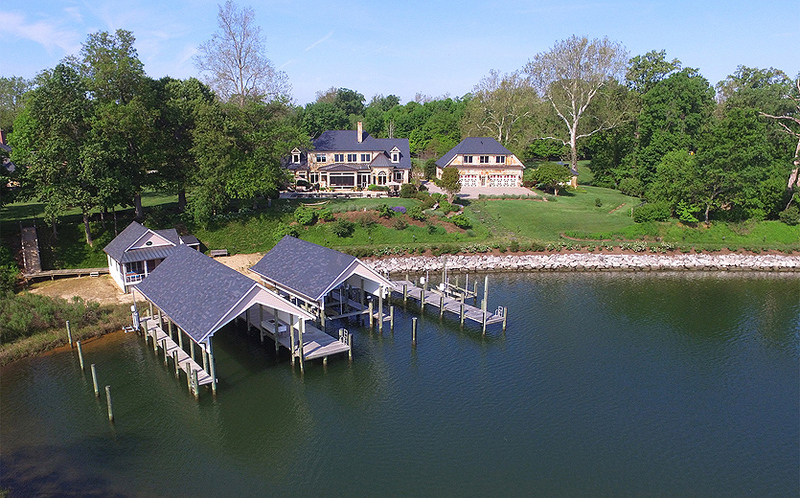 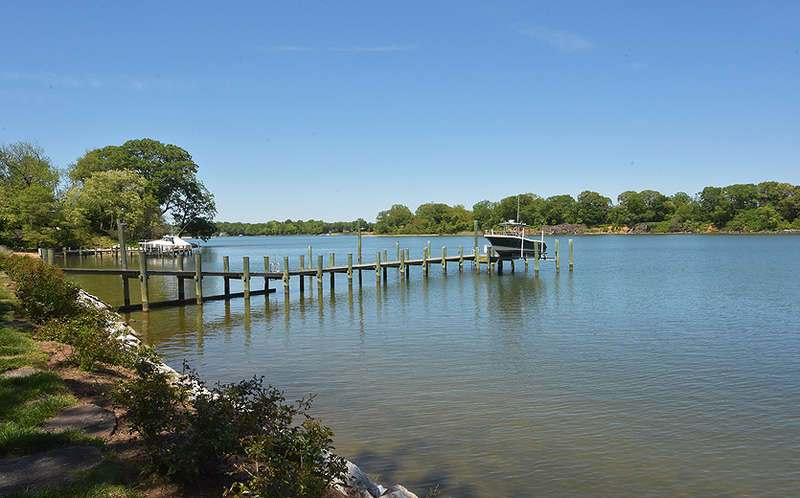 What makes this property so special is the combination of the totally secure, private, resort setting (boating, swimming, horse-back riding, soccer, etc) that is still within easy reach of Annapolis, Washington or Baltimore. 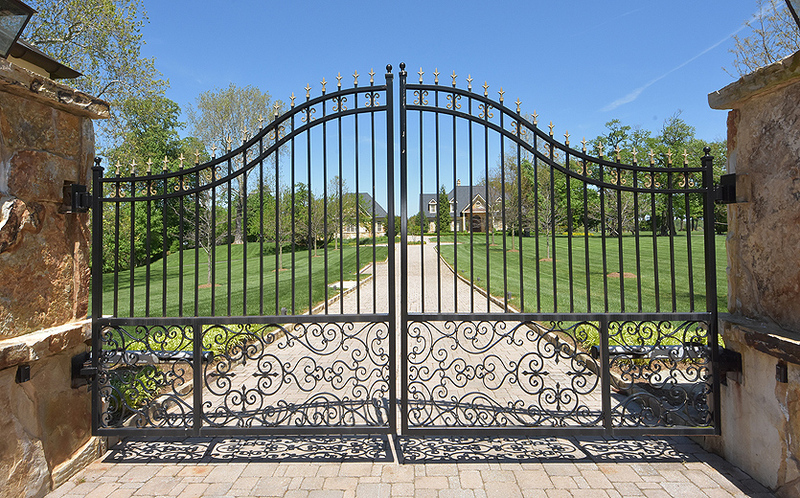 And, the quality of construction and masterly-planned engineering of systems is unsurpassed. 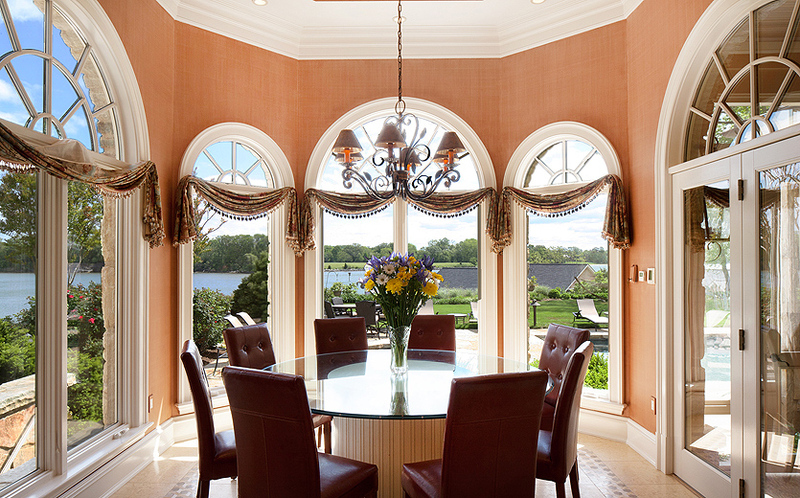 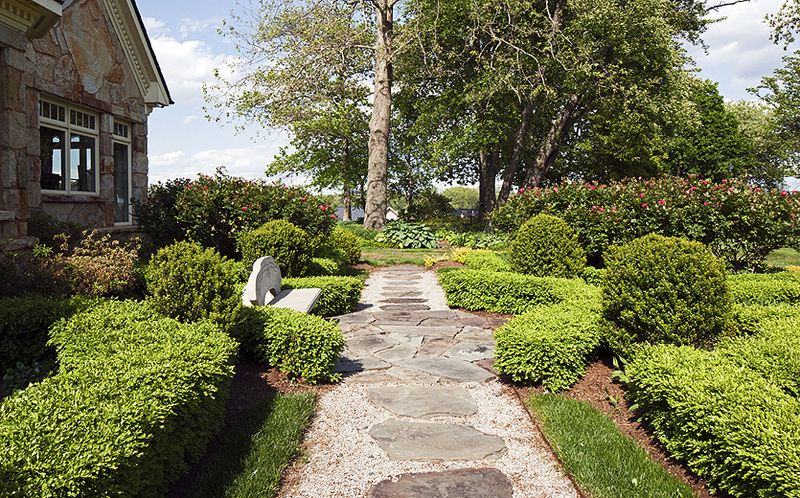 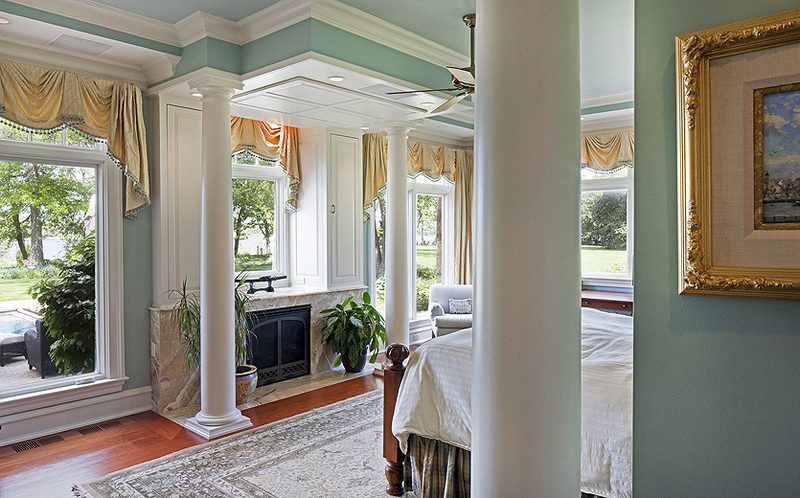 If you are looking for that very special place where every detail has been thought of and incorporated, the Sharps Point Estate may be the home for you. 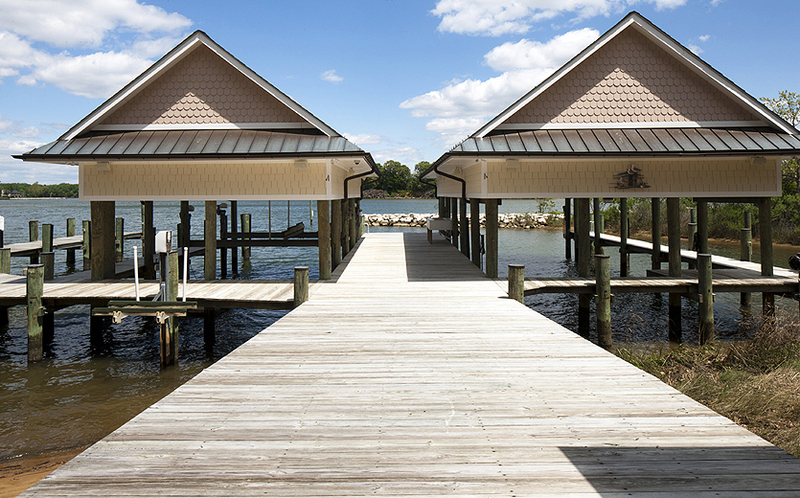 Call Charlie to make an appointment to visit: 410-266-6880!